RETIREMENT SECRETS: Should You Drop Your Long-Term Care Insurance? You are at:Home»English»Columnists»RETIREMENT SECRETS: Should You Drop Your Long-Term Care Insurance? Premiums for some long-term care insurance policies have recently skyrocketed by as much as 85%. Other policies have seen smaller increases of 15% to 40%. The largest increases are for those policies that will pay benefits for life. A large number of people have been paying into their policies for many years and are now in their 70s or older and on a fixed income. With premium increases eating up a larger portion of the budget, many are questioning whether they should drop their policies. Here are five things to consider before canceling your policy. 1: Revisit why you bought the policy. Were you worried about paying for home care? Were you concerned about being a burden on your children? Were you concerned about running out of money if you needed care? How does your insurance policy fit into your plan? One of the largest expenses that retirees will face is paying for long-term care costs. The best way to plan for this cost is to start with the worst-case scenario and work backwards from there. The worst case is “What if you needed care in a nursing home for an extended period of time. How would you pay for this?” How would you pay the $8,000 a month for care in a facility? Would you use your income and assets? Would you use long-term care insurance? Would you qualify for long-term care Medi-Cal? Yes, Medi-Cal is a viable option for many middle class Californians. Mistakenly, the average retired Californian believes that they have to be broke in order to qualify for Medi-Cal. This is absolutely not true. Here’s why. Facts are that some assets count, these are called countable assets. And some assets don’t. These are called exempt and unavailable assets. A married couple can have up to $119,240 in countable assets for 2014 with one spouse applying. There are many assets that don’t count. The home is an exempt asset and doesn’t count. You can live on a boat or in a mansion — if that is your home, then it doesn’t count. Retirement accounts also don’t count if a periodic distribution such as a required minimum distribution is being taken. So, if you could qualify for long-term care Medi-Cal to pay for nursing home costs, then your long-term care insurance will be primarily used for home care and assisted living. If your policy has a lifetime benefit, you may want to consider reducing your lifetime benefit to lower your premium. 2: What type of policy do you have? If you could qualify for Medi-Cal and your policy pays for facility and home care (comprehensive), your insurance would be used primarily for home care and assisted living. It would not be used for nursing home care because you could qualify for Medi-Cal. If you have a nursing home only policy and would qualify for Medi-Cal, you may want to consider canceling your policy or substantially reducing the benefit to save on premium. 3: What is your current daily benefit? The policies that have seen the highest increases are the older policies with the 5% compound inflation rider. This is a very expensive rider so if you have had your policy for a while then your daily benefit may be at a level that the inflation rider can be dropped. This will lock in your current daily benefit and save on premiums. The average person that most often benefits from this is in their late 70s or older. 4: What is your current lifetime benefit? In other words, once you go on claim, how long will the insurance company pay? Maximum lifetime benefit periods could run from one year to lifetime. The longer the benefit period, the more expensive it is for the insurance company. Some of the greatest increases in premiums have come for those policyholders with a lifetime benefit. Once again, consider reducing your benefit period to save on premiums. You may want to consider a six-year lifetime benefit period. 5: Can you decrease or freeze your benefits? Often, when increasing premiums, companies will offer policyholders a variety of options to keep the premiums the same or lower. Other options may be available if the company is called and asked. Everyone is different so do not choose an option just because your friend did. Finances, health, age, benefits and family situations are different. Choose the option best for you. Let’s take a look at an example. An 85-year-old woman has a comprehensive policy that has a current daily benefit of $200 a day with a 5% compound inflation rider and a 10-year benefit period. Her insurance company has sent her notice that her premiums will increase by 40%. What should she do? On a monthly basis her policy currently gives her $6,000 for nursing home or home care. The average facility cost in her area is $7,000 a month. She receives $1,000 a month from Social Security and a monthly pension of $1,000. Between her insurance benefit of $6,000 and income of $2,000, she has enough monthly income to pay for nursing home and home care costs. Additionally, it is determined that in a worst-case scenario, if she needs care in a nursing home, she could qualify for long-term care Medi-Cal. Therefore, she does not need her long-term care insurance for this scenario. It will be used for home care. Options to consider if she didn’t want to pay the increase in premium would be to freeze her current benefits and drop the 5% compound inflation rider. She may also want to reduce her 10-year benefit period to five or six years. At 85 years old, she is at the age when she could use the policy at any time. To avoid the premium increase, any of the previous options would make sense. This is just an example of the analysis that should be done before considering any policy changes. Remember, once changes are made that decrease policy benefits, this is usually a change that cannot be undone. You may be unable to get the higher benefits back at the same rate, if at all. 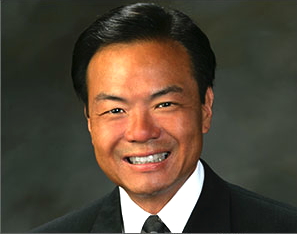 Karl Kim, CFP, CLTC is the president of Retirement Planning Advisors, Inc. and a Medi-Cal specialist, CA Lic # 0810324. His office is located in La Mirada. He can be reached at (714) 994-0599 or at www.RetirementCrisisPlanning.com. Karl has submitted over 1,000 Medi-Cal applications over the past 20 years with a 99.9% success rate. Karl’s book “Don’t Go Broke Paying the Nursing Home: How Californians Can Protect Their Home, Cash and Retirement Accounts” is available at Amazon.com. This is meant to be an educational article. Do not make any decisions solely on the information in this article. Consult your tax advisor, financial advisor or attorney before taking any action. We are not responsible for any inaccuracies or misinformation.